I AM a horse lover. I always have been. In fact you can include donkeys in that, I’d add mules too, but I don’t know them so well. But horses and donkeys are my friends. I know it and they know it too when we meet. And living in Sevilla our paths cross pretty often, be it as they tirelessly carry tourists through the elegant Maria Luisa Park or while parading around the dusty streets of the annual spring fair carrying their increasingly wobbly riders, tipsy from imbibing jugs filled with rebujito (manzanilla sherry mixed with chilled lemonade). I’ve even ridden out in an Andalucian pilgrimage or Romería, a small one in the cutesie village of Los Marines in the Sierra de Aracena, in which I lived out my nine-year-old self’s dream as I actually got to ride a horse in a dress with a flower in my hair. So it’s easy for an equine lover such as myself to get carried away with a sort of folklore romanticism when it comes to the Andaluces’ relationship with horses, but more than occasionally the mantle slips, and a dark side appears, leaving a bitter taste in the mouth. Just today, while on the bus back from the Sierra de Aroche, where I’d charged up my equine batteries with some one-on-one horse and donkey contact, I happened to be skimming through the latest updates on Facebook, when a title ‘La otra cara de la Feria de Sevilla’ (The other face of the Sevilla Fair) caught my eye. It was quickly obvious what this other side was, as a picture showing a horse’s cadaver lying recently deceased next to the carriage it had been pulling, raised once again the issue of animal abuse at mass events like ‘La Feria de Sevilla’ and the equally famous and well attended Romeria of ‘El Rocio’. This year the Feria has taken place at the beginning of May with temperatures hitting the upper 30’s. 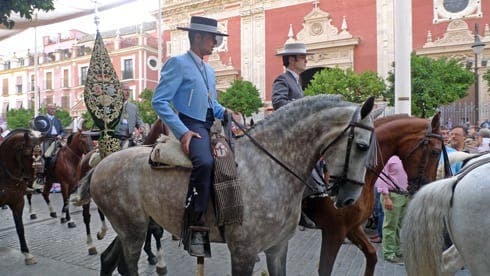 The horses spend most of the day parading around the Feria ground carrying their jinete (rider) or pulling the high and mighty of Seville society in ornate and heavy carriages. Rest periods are spent in the blazing sun, tethered in front of the Casetas (wooden marquees) as their human counterparts quench their thirst with their alcoholic beverage of choice. The more drinks that are quaffed, the less attention is paid to the welfare of their mounts. 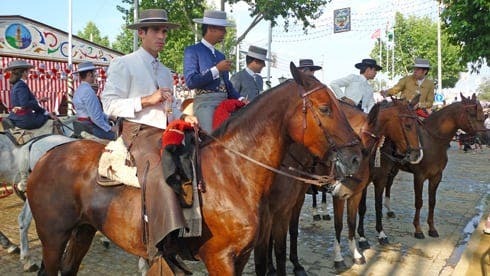 The same high alcohol, low animal welfare ratio applies to the horses used in the El Rocio Romeria, which takes place under the baking late May/ early June sunshine. Almost a million people descend on this spit and sawdust town lying in a sandy enclave of the Doñana National Park, all with a view of worshipping the Virgin of Rocio, or ‘the little white dove’ to her friends, a statue reportedly found in a tree trunk by a hunter in the 13th Century and revered ever since. Pilgrims set out from hermandades (brotherhoods) from across Spain making their pilgrimage either on foot, in Oxen pulled gypsy carts or on the back of a horse. 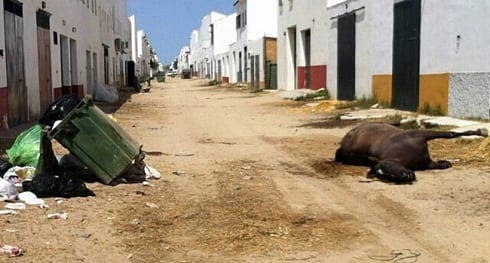 Every year there is an unpalatably high level of equine collateral damage, with horses dropping dead on route from exhaustion and others dying at El Rocio itself from starvation, lack of water and colic. The highest number of deaths was 25 in 2008, with last year 17 failing to make it back home. 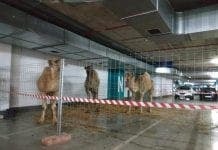 According to the Ministry of Agriculture, none of the deaths were as a result of neglect or cruelty, and occurred rapidly, some dying in seconds. Animal charity Asanda begs to differ, compiling their own report by equine veterinary specialist Marta Gallego Torres, on the possible causes of death, in which it was concluded that the most likely were indeed ´lack of water, stress, extreme exertion and lack of fluid´. It went onto say that in contrary to the official verdict of a swift end, much more likely would have been an ‘agonizing and painfully slow’ one. But why do these avoidable casualties continue to happen? It would seem that amongst the more knowledgeable riders making the pilgrimage to El Rocio, there’s also a less experienced bunch riding rented animals, with very little common sense or indeed interest in treating their mounts as anything other than disposable modes of transport. In other cases horses that are barely exercised all year are yanked out of their field, with no level of fitness and expected to last the six days return journey. Not surprising then that some fall by the way side. As humans we wouldn’t expect someone to run an ultra marathon with no training, in Saharan temperatures, with little water, without expecting some fatalities. But what to do? Different organisations try to take proactive action to promote responsible animal welfare during the pilgrimage, such as handing out leaflets and providing volunteer vets on site. Indeed the Ministry of Agriculture, Fish and the Environment have an official 24 veterinary presence. But Asanda´s report calls for more vets both at El Rocio and on the pilgrimage route itself and for owners to immediately call on their assistance as soon as an animal shows any sign of physical distress. But it also seems that the authorities do not consider these deaths worthy of prosecution. In Spain abandonment and cruelty to animals is punishable by law with potential fines of between 2,000 and 30,000 Euros, but the regular fatalities during this religious festival are rarely punished, mainly because proving they are not as a result of natural causes and are in fact directly related to abuse and neglect is extremely difficult. Last year not one of the 17 deaths (14 horses and 3 mules) were even reported to the police. This saddens me to the depths of my horse loving heart. I know there are a whole host of responsible owners at El Rocio who probably dote on their steeds just as much as I did as a pony mad teenager, but this year the same thing will undoubtedly happen again with figures potentially rising as the festival falls later in the year and temperatures may well hit the near 40s. But I sincerely hope that a trickle of consciousness and compassion will permeate those making the pilgrimage and that they will think not just about their own liquid consumption, but that of their horses’ as well. 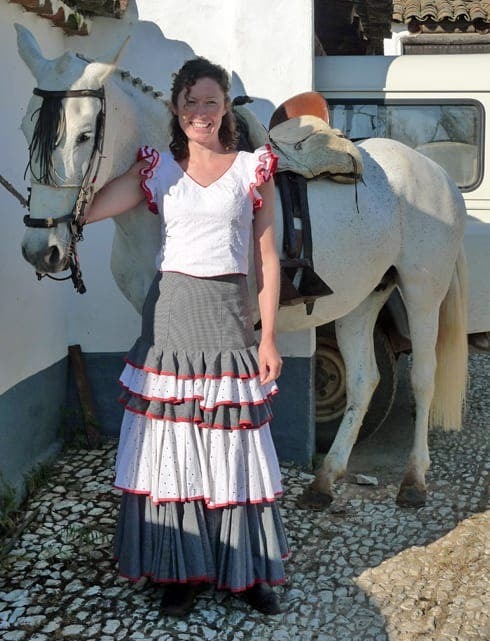 English rose who uncovered a latin pulse in her corazon, now living in Seville while teaching English, writing blogs and generally living the life she always wanted to live. A very well written article and I hope many of the spectators that flood to El Rocio will read this! I have been lucky enough to have a pony since I was 11 years and at 65 I am still starting off horses, teaching good horsemanship etc etc. I feel privileged. We owe a lot to horses since mechanical transport! Sadly there will always be people who abuse them and only by constantly making a fuss and reporting these incidents and keeping it in the public eye will perhaps anything be done. It is interesting how the officials turn a blind eye, but when they want money off you then it is a different matter!!! I was in Seville yesterday walking around the cathedral and the palace. There were 30 odd horses and carriages, most of the horses were in good condition. Well shod and good weights. There was one very thin grey but there was a black horse who was obviously in trouble. It was very thin and was standing with its hind legs stretched back and he was alternating his weight on his fore legs constantly. He was laying his ears back every time anyone went near him. He was in pain and was very unhappy. How and who can I report this to? Is there a body that overseas the carriage trade? I did not see the horse move but anyone could see that he was not sound just standing. 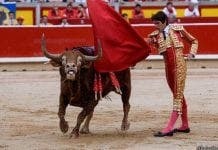 Animal abuse in Asturias seems to be part of life. Participating in animal abuse and suffering says something about the psychological make-up of those who do or allow it. Some do not believe that animals can suffer or, perhaps, their old Catholic tradition has taught them that only humans have consciousness, a notion that would make animal suffering insignificant compared to the ‘nobility’ of humans and bulls. We have witnessed dogs tied to vehicles driving faster than the animals can run till finally they are dragged; dogs commonly tethered on 1 meter chains till they go mad, shake with fear, alternating between depression and panic (these are ‘good guard dogs’); cattle or horses locked in barns without food or water till the odor of the dead animals alerts neighbors; donkeys beaten, then abandoned to fend for themselves till they die or are killed by feral dogs; drivers swerving to purposely run over animals crossing the road, and more. Clearly, a growing number of people are kind and sensitive to animals as well. Still, authorities appear slow or hesitant to investigate and arrest offenders: perhaps the hesitancy is due to abusers’ protection by a livestock association, likely the same people who argue for extermination of wolves, bears, birds of prey, vultures and habitat. Or, perhaps, authorities cannot get the evidence needed for prosecution in a legal system structured to prevent arrest. Or the perpetrators are part of the extended social networks of officials. But the number of conscientious people here is growing with the younger generation. Animal protection efforts of Marleen Verhoef and associates of Paraíso del Burro in Arobes is a sanctuary for abandoned burros and mules. The Paraíso’s finca has veterinarian service, rich pastures, woodland shade and weather-protected stalls. But even this sanctuary has had difficulty from some who think their work is a useless waste of land and money, an attempt by foreigners to interfere with local life: Afterall, “They are only donkeys. What do these animals matter?” They argue that animals are for human financial exploitation. 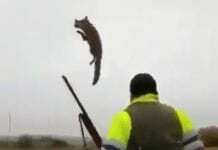 Abusers apparently have not reflected on whether it is the animal or the human which lacks conscience.